As of May 2016, the ELN Newsletter will feature one rising leader in our network that is doing amazing work! To see who we've featured so far visit www.elnonline.ca/facesofeln. Do you know an ELNer who is engaged in impactful and interesting city-building work across the region that other ELNers should know about? Tell us about them by filling out this brief form and the ELN team will be in contact. CivicAction's ELN is committed to ensuring the inclusion of rising leaders from all parts of the Greater Toronto and Hamilton Area (GTHA). 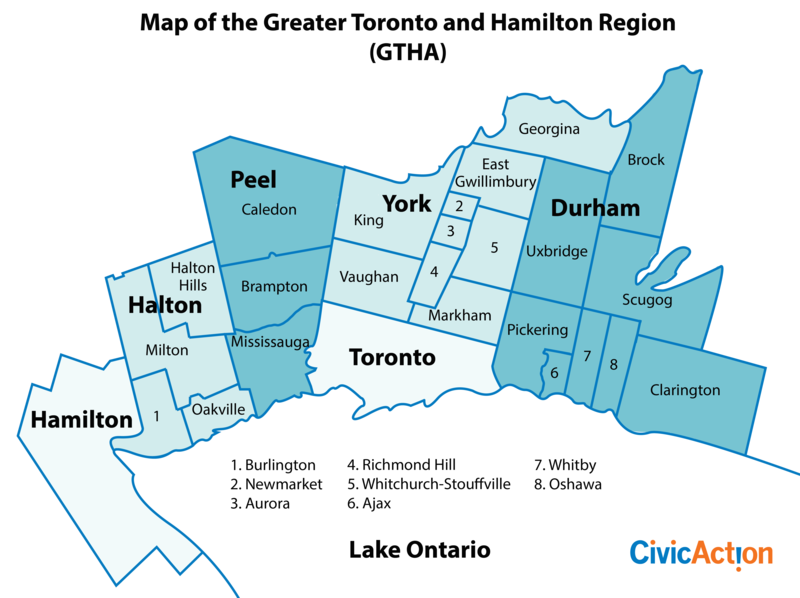 Check out our map of the Greater Toronto and Hamilton Area here.